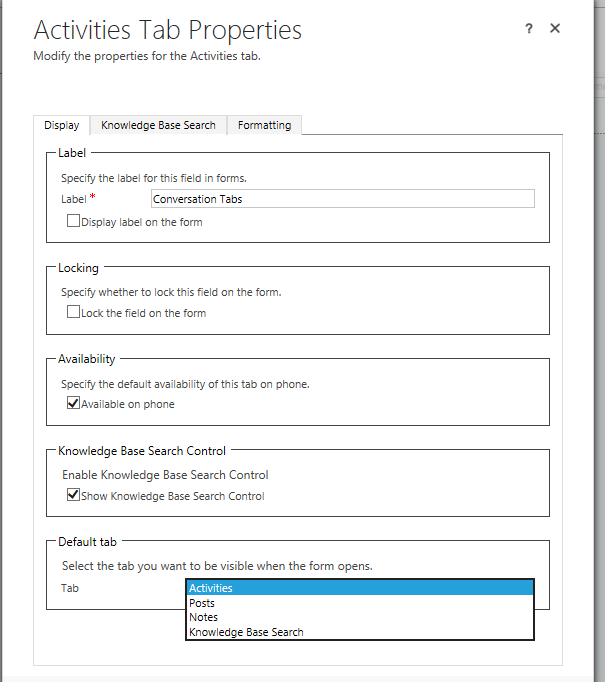 You may have already noticed - there is a new configuration area in the Service management of CRM 2015 Update 1, as well as a new Tab KB RECORDS in the Social Pane on the CASE form. 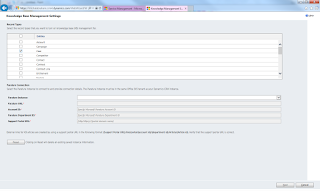 If you have not configured Parature integration yet, you will see Knowledge Base Management hasn't been set up. In the configuration area it is called "Set Up Knowledge Base Management". 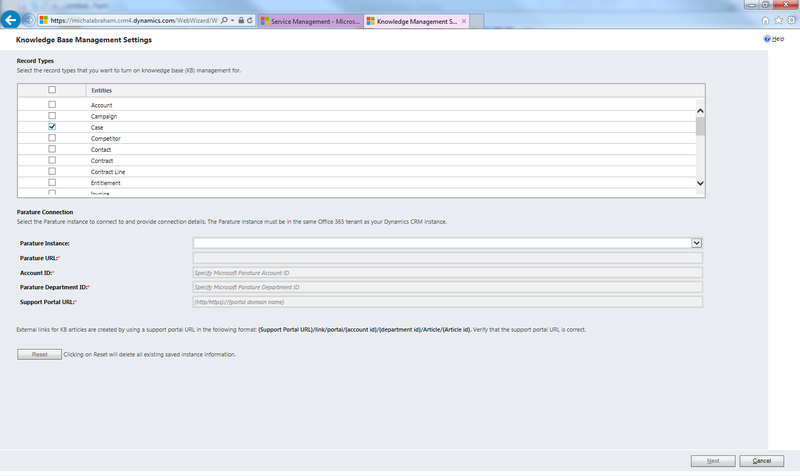 Here you can actually integrate CRM with your Parature instance and make the tab on the case form work. It will be searching the knowledgebase from the case form. But what if you don't have Parature and you do not want to have the extra useless tab on your CASE form? You can go to Customizations and edit the form. You will see a component "Conversation tab". Then it is gone, but also the activities and notes. So you need to add the Notes component back, that will include the posts and activities as well. However, it does not allow you to put back the KB RECORDS Tab. How to add it back to the form? 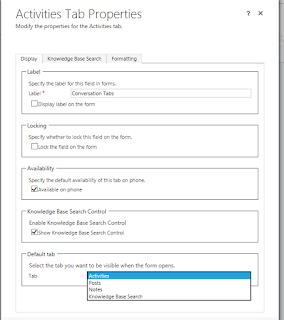 So, that will add KB search in the separate component. If you want to put it back into "Social Pane" the only way in the CRM UI how to do it is to create new form for the case entity. New form automatically includes this component. I would also suggest to backup the customizations of the case entity before you start playing with this, because that will help you with restoring the KB RECORD tab later if you need it.